Michael Dunlop won three races at the Isle of Man TT to move onto 18 victories overall, making him the third most successful rider ever in the history of the event. Michael and William Dunlop have entered the Country Crest/Des D’arcy Motors Skerries 100 next weekend. 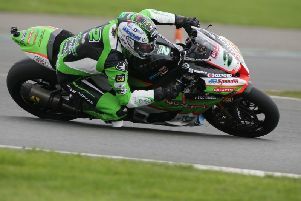 Eighteen-time winner Michael will compete in the three Superbike races plus the 600 Supersport class, when the outright lap record holder will line up as the favourite. William Dunlop is set to make his racing return at the Skerries 100 after withdrawing from the Isle of Man TT due to personal reasons. The feature race of the day will be the Martin Finnegan Memorial Race, with 5,000 euros going to the winner. Lusk star Finnegan was tragically killed at the Tandragee 100 10 years ago. William will make his return to the sport after withdrawing from the Isle of Man TT to be with his pregnant partner, who is expecting their second child. Dunlop will ride the Temple Golf Club/Caffrey Yamaha Supersport Yamaha and the team’s R1 Superbike at the event in County Dublin. Home favourite Derek Sheils is also entered on the Burrows Engineering Racing Suzuki along with this year’s top TT newcomer, Davey Todd, who made his Irish roads bow at Skerries in 2017. The line-up so far also includes Skerries man Michael Sweeney, while Derek McGee is another top contender who is in terrific form after a sensational five-timer at the new Enniskillen Road Races. In a change from previous years, racing will be held on Sunday, July 8 with practice taking place on Saturday, July 7.